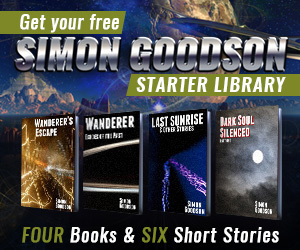 I have now published Wanderer’s Escape and Last Sunrise & order doxycycline for dogs Other Stories via smashwords. That means that over the next two or three weeks they should start showing up in the apple store, barnes & noble, kobo and a number of other distributors. Even better news is that Last Sunrise & Other Stories is now perma-free via those channels. I hope to get Amazon to match the (lack of) price too. Dark Soul Silenced Parts One and Two will also be added to Smashwords, though releasing the new Wanderer book (to Amazon and Smashwords) may take priority depending on timings.